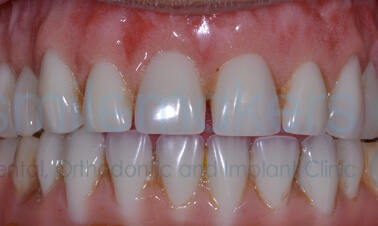 Alex is one of the many Smilemakers 'teeth-in-a-day' success stories. 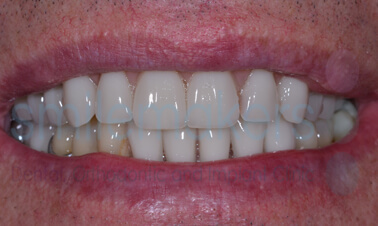 Unfortunately when he presented to our Implant Clinic the extensive crown and bridgework in his upper jaw were failing and threatening to leave him toothless. 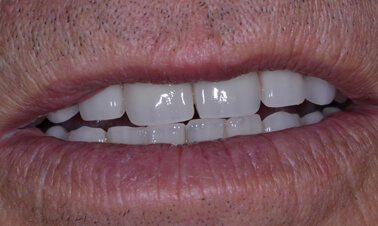 Alex, being a fit middle-aged man, was not keen on having a complete denture and wanted to find a dentist who could find a solution to his predicament. 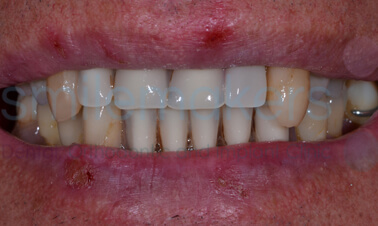 After discussing the various options available to him, he decided to have the revolutionary 'teeth-in-a-day' procedure. 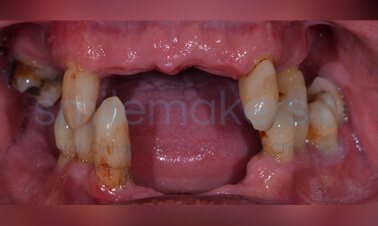 "I decided to have dental implants after attending Smilemakers for a standard check up after years of living abroad. 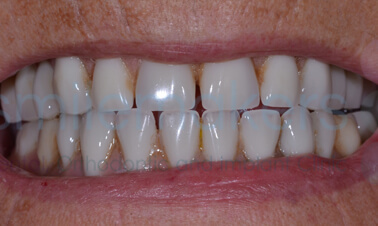 I had previously had some crown work on my teeth, but these started to deteriorate and additionally I had gum disease which was beginning to affect my other teeth. 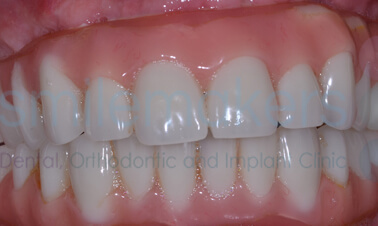 I did some research, and although there are a number of local dental practices offering dental implants, Smilemakers offered this dental procedure as a specialty, and throughout the course of the treatment, I was always kept fully informed as to timescales, cost and payment options and what the treatment would entail at each stage of the process. 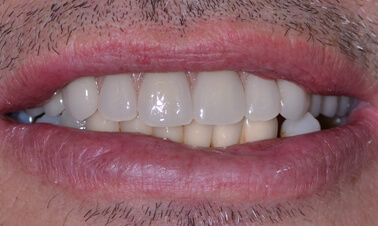 Before the day of the surgery, I had a number of consultations during which the forthcoming procedure was discussed and x-rays were taken using state of the art equipment. 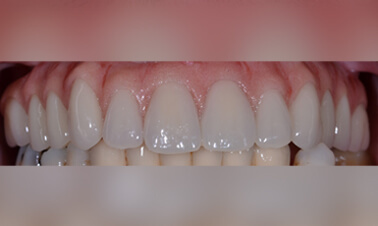 The process isn't cheap, but you do get what you pay for and there are no hidden costs. 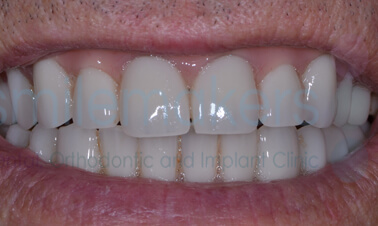 If you need to have implants, I would highly recommend Smilemakers but especially the team of Tom and Sophie who I would like to thank for their skill, professionalism and reassurance at all stages throughout the process." 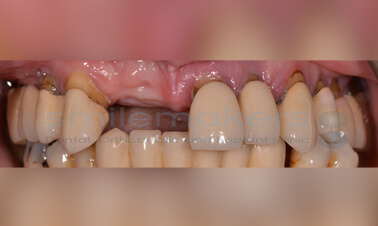 In this case, this lovely gentleman had always struggled with upper dentures and wanted something that would allow him to speak and eat like natural teeth. 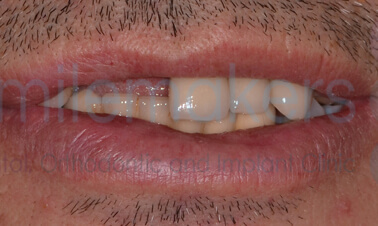 An immediate bridge on implants was placed in his upper jaw and a new removable denture in the lower jaw. 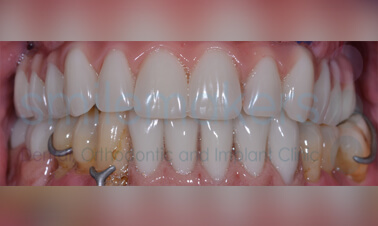 The photos are taken on the day of Surgery itself. 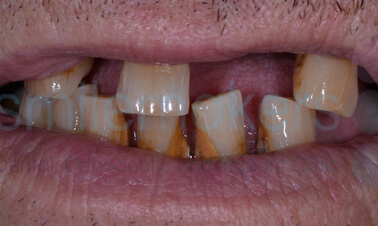 In this case, this extrovert gentleman was understandably starting to struggle with his failing teeth. 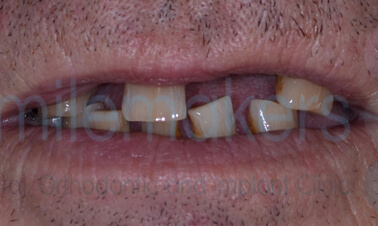 Socialising was becoming difficult and he feared having complete dentures. 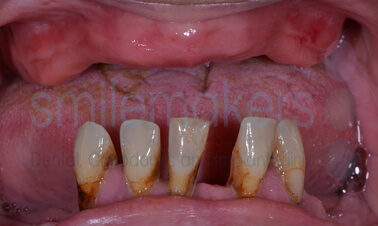 Unfortunately, none of his natural teeth could be saved but he was delighted when bridges could be fixed to implants on the same day as the remaining teeth were lost. 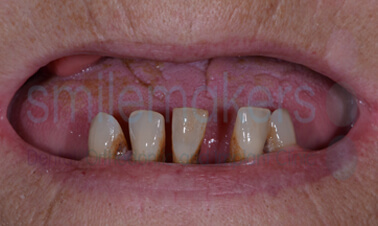 In this case, this lovely lady was faced with losing the remaining lower teeth and having a complete denture. 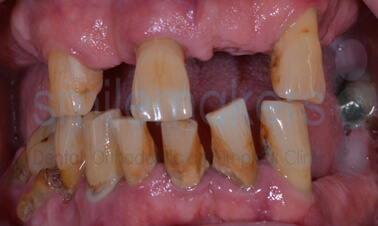 Fortunately, this could be avoided by attaching a fixed bridge to implants on the same day the teeth were lost.